Horse Arcs are popular with people who keep their horses out 24 / 7. Their horses can stay together as they shelter and there is no risk of getting cornered by a dominant horse. People with track systems love the Arc because it truly is a mobile field shelter and can be easily towed to new locations around the track. Arcs also provide a dry, sheltered area for horses to sleep if they choose. The arcs lend themselves to the herding instinct to have a look out horse while the other horses sleep. Our happy equine customers like to incorporate arcs in their play time, running in, out and around the Arc. We have found that horses also like to have a good rub up against the Arc and its thrust bars. Due to the open design of the Arc you can safely place hay in it for horses to eat. This reduces waste as hay doesn't get wet, blown away or trodden into mud. 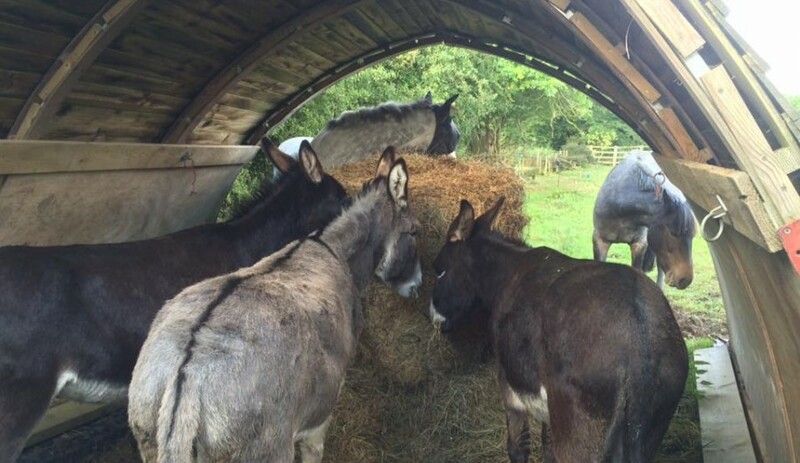 It also means that horses can be grazing on hay in the comfort of their arc on those very rainy days. Lucky horses! Gateways can become very muddy as they are high traffic areas and horses tend to stand in gateways, waiting for their owners. 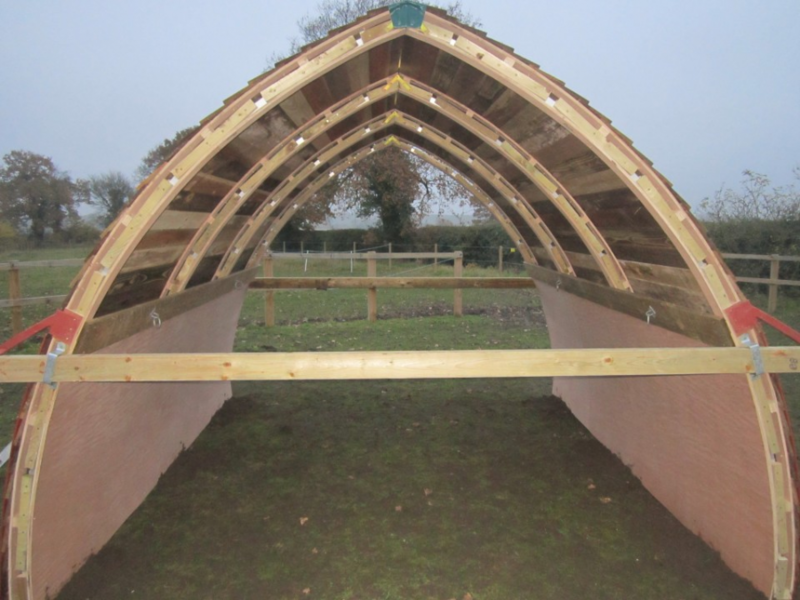 Some customers choose to have a second Horse Arc to position as a sheltered entrance to their field. This solves the problem of muddy gateways and provides a sheltered, dry area for you to groom and feed your horse. You can use the optional end enclosure bars to stable your horse in the arc while you are tending to him. If budgets don't stretch to two arcs, you can position your one arc at the gateway. This is only suitable if your horses are happy to be in an enclosed shelter as you won't benefit from an open ended layout.